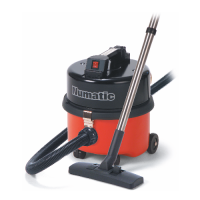 A range of dry vacuum cleaners for the professional commercial cleaner or industrial use. Whatever type of vacuum cleaner you need, whether it's a small dry tub vacuum cleaner, an upright vacuum cleaner, a backpack vacuum cleaner, a large area vacuum cleaner or a ride on vacuum cleaner you'll find an answer to what you need right here. 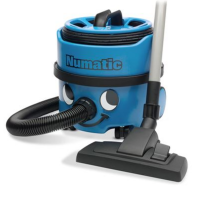 From the smallest tub vacuum cleaners like the famous Numatic Henry to the largest ride-on vacuum cleaners, these vacuum cleaners are available in battery powered, 110 Volt, and 240 Volt variations to suit every need and requirement. With various types of filtration available such as HEPA filters, Class M Filtration and Class MB1 classification, If you need to 'hoover' we have the dry vacuum cleaner to suit the task in hand. 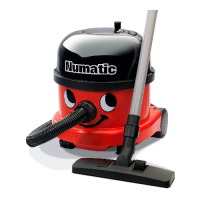 The Henry vacuum cleaner is an iconic item, popular in many households.. 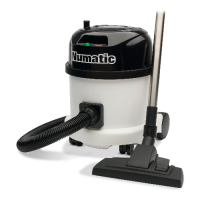 The Numatic PSP180 Dry Tub Vacuum Cleaner Compact professional plugged.. The Karcher T10/1 Adv Dry Tub Vacuum Cleaner brings new levels of qual.. The Karcher T10/1 eco!efficiency Dry Tub Vacuum Cleaner brings new lev.. The PPH has all the many advanced features of the ProVac model range w.. The Karcher HV 1/1 Bp As is a cordless handheld vacuum cleaner. Combin.. The Karcher HV 1/1 Bp Cs is a cordless handheld vacuum cleaner. Combin.. The Karcher T 12/1 Hf dry vacuum cleaner has been specially developed .. The Karcher HV 1/1 Bp Fs is a cordless handheld vacuum cleaner. Combin.. The Karcher T12/1 eco!efficiency Dry Tub Vacuum Cleaner is a supremely.. These machines are built to an exacting 400Hz standard of operation, s.. The Karcher CV 30/1 upright vacuum cleaner uses a single high performa..